Tell me these aren’t the cutest little mini planter pots you’ve ever seen. 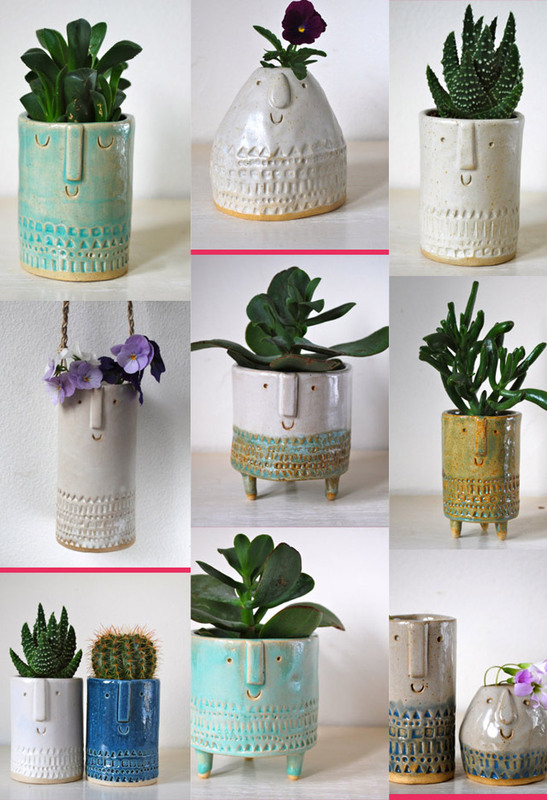 Each one hand tossed, carved, glazed, and fired by the Etsy artist Stella of Atelier Stella. I AM SO IN LOVE. And shhhhhh… this artist only does a few sales here and there, but her next is coming up on the 18th! Catch her Etsy store here » Can I mention an -ahem- early bird Christmas shopping? I’ll race you to anything in blue. So sweet!